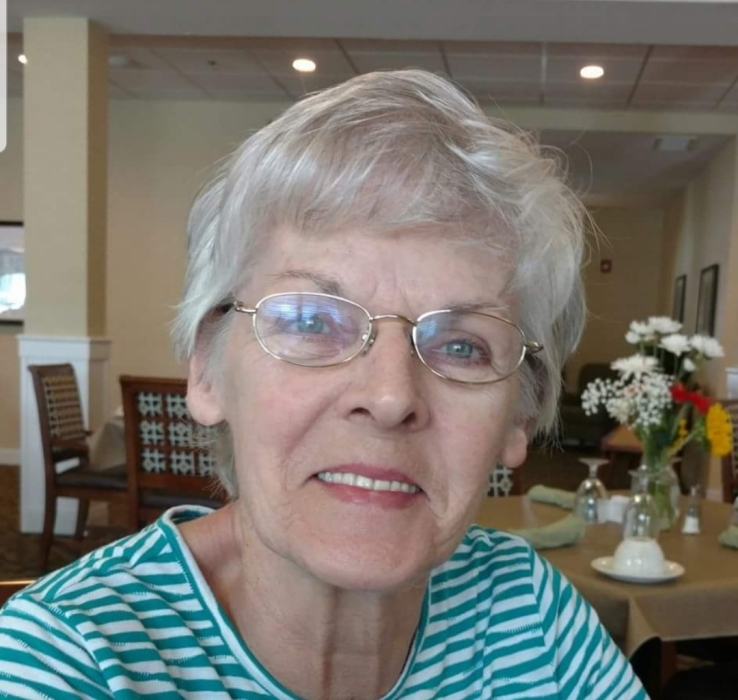 Obituary for Lorraine (Martin) Stephens | Wellman Funeral Homes, Inc.
Lorraine Stephens, 78, of Circleville passed away on April 14, 2018 at home after a daunting battle with dementia. Her children, their spouses, and grandchildren provided love and support until her passing. She was born on September 15, 1939 in Hallsville to Cyle and Otha (Imler) Martin. She retired from Thomson Consumer Electronics (RCA) in Circleville and was a member of American Legion Post 134 and Amvets Post 2256. Her loving and devoted husband, Jack, of 50 years, daughter Carol Salyers, parents Cyle and Otha (Imler) Martin, and sisters Bette Archer Brown and Martha Frazier, preceded her in death. Lorraine is survived by her children Chris (Lynne) Stephens of Circleville, Lanette Jenkins of Circleville, Robert (Marcy) Stephens of Grove City, William (Amber) Stephens of Amanda, and Tonya (Tim) Richardson of Circleville, brothers Frank (Marzetta) Martin, Gerald “Howard” (Helen) Martin, Glenn Martin, sisters Julia (Melvin) Poling and Marilyn Price 14 grandchildren, 11 great grandchildren. The family would like to thank Berger Health System, Genesis nurses and aides, Fair Hope Hospice and Palliative Care, Darlene with Home Helpers, and Wyngate Senior Living Community. Funeral services will be held on Friday, April 20, 2018 at 12:00 p.m. at the Wellman Funeral Home, Circleville with Chaplain Jim Ferrell officiating. Burial will follow in Forest Cemetery. Friends may call at the funeral home on Friday from 10 a.m. until the time of service at noon. Memorial contributions are suggested to Fair Hope Hospice, 282 Sells Road, Lancaster, Ohio 43130. Online condolences can be made to www.wellmanfuneralhomes.com.